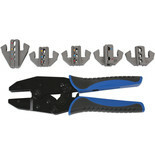 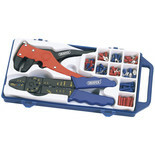 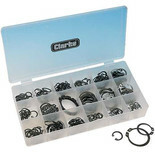 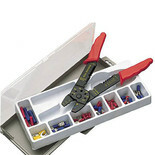 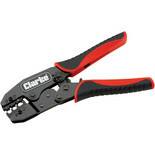 Ratchet crimping pliers for use with insulated terminals. 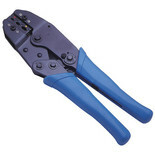 The ratchet motion ensures complete crimping. 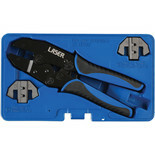 Professional Ratchet Crimping Pliers for insulated terminals. 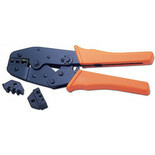 Ratchet motion ensures complete crimping. 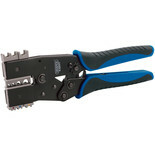 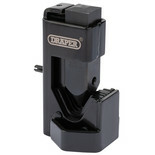 Cable cutter/crimper and stripper. 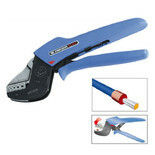 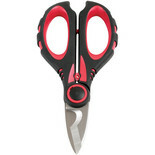 Blade made from stainless steel 56hrc hardness with dual notch for cutting cable. 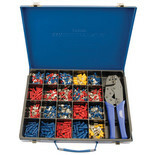 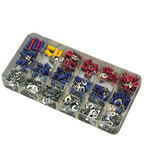 For both insulated and non-insulated terminals. 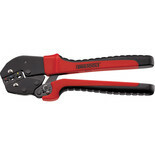 Ratchet motion assures complete crimping.